"I think it is broadly recognized that criminalizing cannabis has been a failure," said Senator Tony Dean of Ontario, a sponsor of the bill. He believes it will pass by July 2018, if not before. Retailers have been preparing to start selling legal marijuana in July, so the timing could be tight. But Canada's recreational marijuana market is expected to mean big dollars. According to recent estimates from Marijuana Business Daily, an industry publication, annual sales for Canada's recreational marijuana market could range between $2.3 billion and $4.5 billion by 2021. The Canadian market, with full federal support, still won't top U.S. revenues, where recreational marijuana is being legalized on a state-by-state basis. Recreational sales for cannabis are expected to total $7.1 billion to $10.3 billion in the U.S. by 2021, according to Marijuana Business Daily. These figures do not include expected, estimated revenue from medial marijuana sales in either country. Dean believes the legal recreational sales will be able to begin almost immediately in July, despite the short legislative window. Unlike legal U.S. states, which on average have taken more than a year to get their retail and tax infrastructure built, Canada will build on government-supported online sales that were implemented to support the country's medical marijuana industry. Canadians buy their pot on websites and have it delivered. 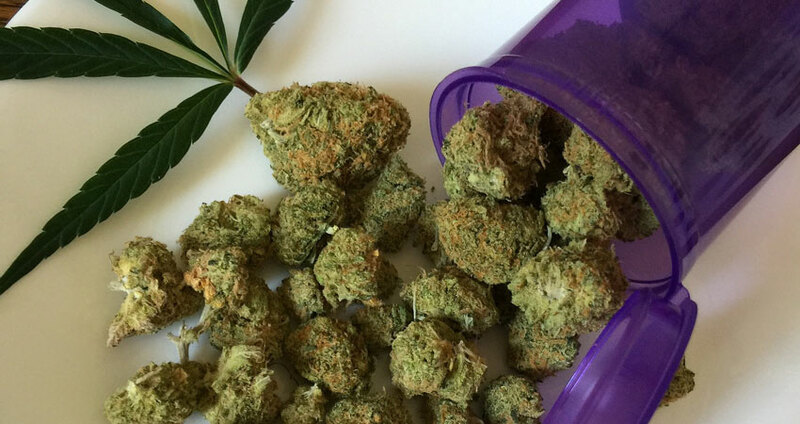 Websites like Ganja Express and Buy My Weed Online and Emerald Health Therapeutics currently offer medical marijuana customers an array of cannabis products, from traditional marijuana that's sold by the gram, to concentrates and edibles. Canadian cultivators are getting ready to meet the anticipated surge in demand when recreation customers could start ordering. "We are very well positioned for July," said Nate Race, a management consultant with Premium Produce, a medical marijuana farm in British Columbia that has expanded its staff from about 70 to 100, so it can grow annual production from 14,000 pounds of marijuana to 134,000 pounds by the end of 2018. California, where retail sales of recreational marijuana are supposed to begin in January 2018, would eventually account for half of all U.S. sales and would likely match Canadian sales just by itself, according to Chris Walsh, founding editor of Marijuana Business Daily. This is why Nick Kovacevich, CEO of California-based Kush Bottles, which makes vaporizer equipment, said he has no plans to do business outside the U.S..
"We have a bigger market opportunity here in the U.S.," he said. But marijuana's shaky legal status in the U.S. -- the federal government prohibits it -- means things could change quickly for entrepreneurs working in cannabis. "In the U.S., the growth of recreational marijuana is artificially hampered by the fact that cannabis is illegal," said Walsh, noting that it creates issues with banks, which face restrictions against handling marijuana money. "The growth that we're seeing in marijuana [in the U.S.] is only a piece of what it could be," he said. "The backing of the federal government in Canada is opening a lot of doors that are closed right now in the U.S."
Canada's move toward legalization has already inspired one U.S. company, the New York-based alcohol beverage producer Constellation Brands, to buy a 10% stake in the Canadian pot company Canopy Growth Corp. for $190 million. John Kagia, a cannabis industry analyst for New Frontier Data, called the recent move towards Canadian legalization a "wake up call to all investors who were sitting on the sidelines, that this is really going to happen."